One of my favorite months of the year is February, for one reason – Valentine’s Day! Valentine’s Day gets a lot of flack for being just another holiday to buy cards for, but I view it a little differently. Valentine’s Day is a great time to let anyone in your life know that they are appreciated. I think if we restrict our Valentine’s Day activities to only romance, we miss out on the opportunity to reach out to others who may be feeling a lack of love on this holiday – and even worse, we miss an opportunity to reach out with Jesus’s love to those around us by showing them that they are valuable and loved (even if not romantically at the moment). Today though, I am going to focus on one of the most fun groups that we get to reach out to on Valentine’s Day – and that is our kids! I am just dipping my toes into the wonderful world of children’s valentines, and I have to tell you, I have a lot of ideas for items to give to children with their valentines. Instead of hoarding all my ideas for future years, I have decided to share them with you. Happy Valentine’s Day! For this first section I wanted to talk about valentines to give to kids in a group setting. I think kids typically get a lot of candy on Valentine’s Day, and while I have no problem with letting my kids indulge in candy on holidays, I am trying to include non-edible ideas here (with just a couple exceptions). Note also that these items don’t have to be expensive; a lot of party stores carry packs of these types of items that you can purchase for valentines, and they are fairly inexpensive. As much fun as it is for kids to get valentines from friends and teachers, I remember my favorite valentines as a child came from my parents. Every year they bought us one little gift, and I think those gifts are what set that foundation for me of using Valentine’s Day as an opportunity to bless everyone in my life. 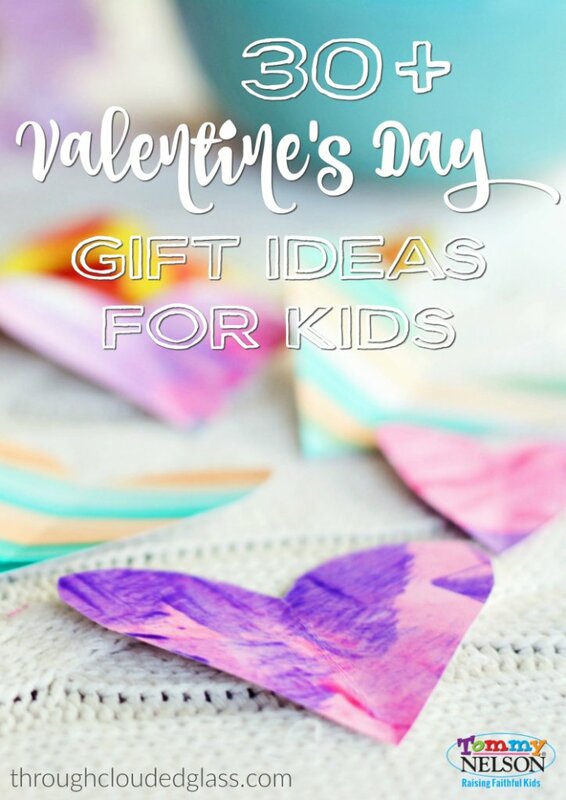 So for the kids that are the most fun to shop for – here are a few non-candy ideas of larger gifts to get your own kids for Valentine’s Day. New Music or Radio Drama – I used to love it when we had new kids’ music or stories to listen to as a child, and I am planning on getting my own children some audio gifts in the years to come. Stuffed Animals – Scratch this one if your children already have too many stuffed animals, but who doesn’t love a stuffed pink dog with a heart in his mouth? I still remember the one my parents gave me. Board Games – This will require that you actually play the game with your child, but in this house that’s not a problems. We love board games, and they are a great way to connect as a family. Magazine Subscription – There are many great magazines for children out there, and this is a gift that they will appreciate each month as a new magazine full of fun arrives in the mail. Books – Books are always a good gift choice, and Tommy Nelson has several that fit with Valentine’s Day! Two that would be great as a gift from a parent to a child are Mommy Loves You So Much and the companion Daddy Loves You So Much. 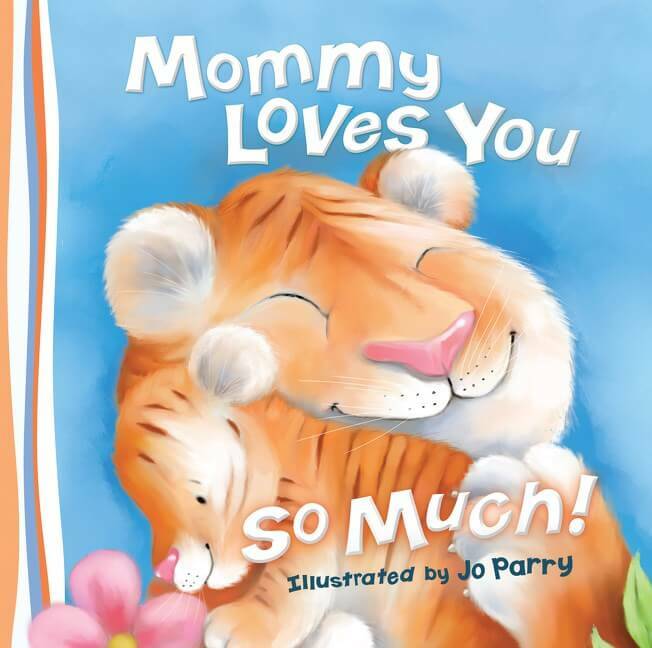 Snuggling with your little ones and reading a book like this is a great way to remind them that they are loved on Valentine’s Day! A Family Outing – Scrap the material gifts altogether and take your family to do something that you don’t normally do! 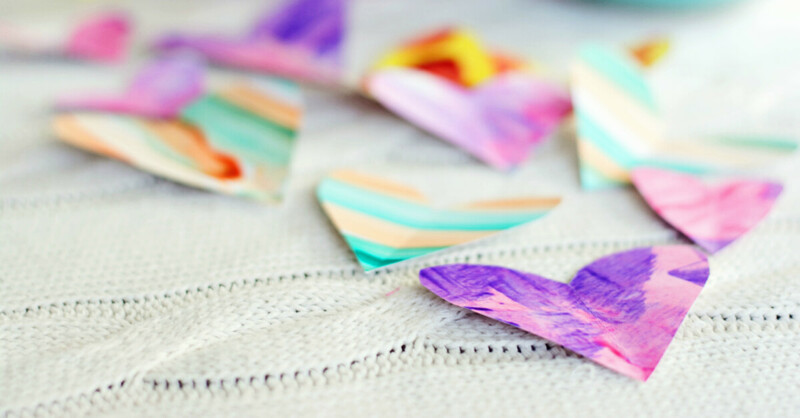 Do you give your own kids a gift on Valentine’s Day? What classroom valentines have you come up with in the past? This entry was posted in Blog, Tommy Nelson and tagged Classroom Valentine's, Gift Ideas for Kids, Valentine, Valentine's Day, Valentine's Ideas by Callie Nicole. Bookmark the permalink.